We’ve created a Padlet wall about what and why we like reading during our World Book Night event on 23 April. Take a look at our Padlet wall and let us know what you think about reading and what you like to read. Our students who are keen readers of Quick Reads were asking what books they should move onto next when they’ve moved up from graded readers and Quick Reads. The Reading Agency’s Six Book Challenge website’s Find A Read helps you find books you might like to try by genre and according to your reading confidence levels. Which Book allows you to find books according to your interests and mood levels. Our students enjoyed doing word searches and quizzes and talking about what they like reading. 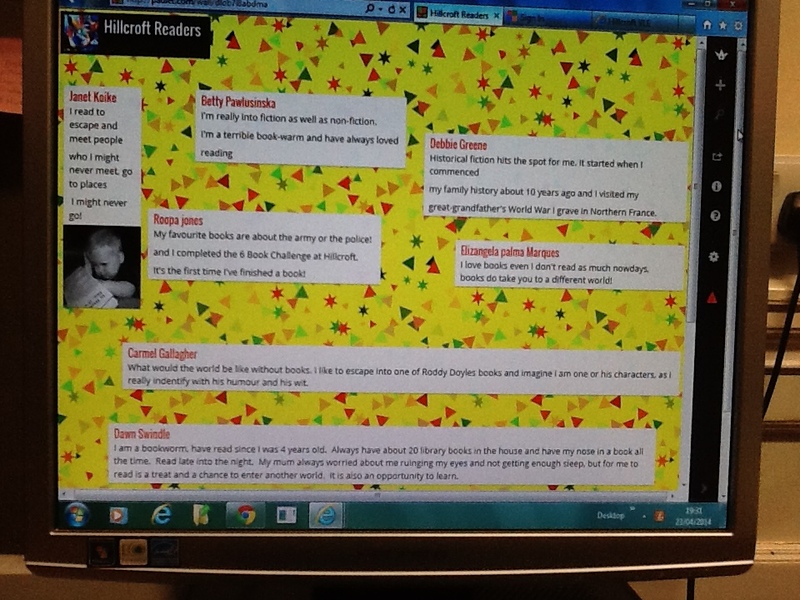 We sent a link to our Padlet wall on Twitter and tweeted to #worldbooknight. 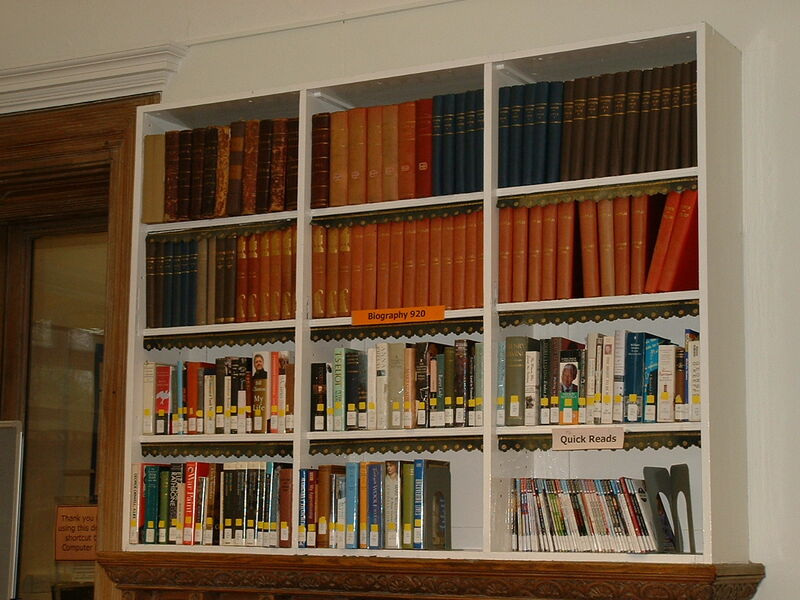 We’re busy compiling a list of recommended reads to share with students and staff. On Wednesday 23 April the Learning Resources Centre team are celebrating reading and books as part of World Book Night. Hillcroft students are welcome to come to a fun packed evening of free books, talking about books you like, suggesting ones others could read, making bookmarks and games from 6.30-8.30pm. Tales of the City Armistead Maupin. We’re also asking our staff and tutors to be Community Givers and give away a book they recommend others to read. We’re supplying the bookplates and stickers for these. Staff are registering as Community Givers on the World Book Night website. Anyone in the United Kingdom and Ireland can register to do this and give out a book/s anywhere on the night. The books don’t need to be brand new. To keep the book fun and frolics going we’re supplying refreshments. 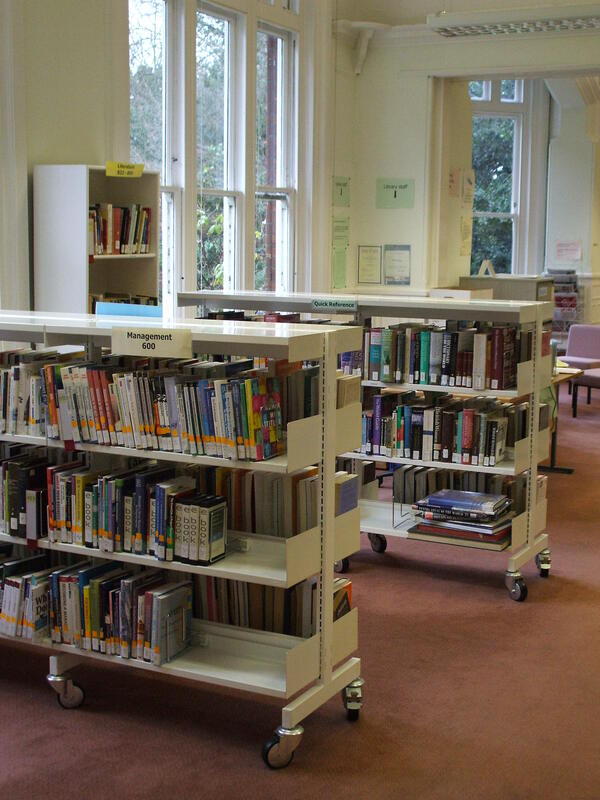 If you’re not at Hillcroft College you can find information on the events page for a World Book Night at a library close to you.